When I was a kid, I wouldn’t have touched spaghetti squash with a ten foot pole. See, I was THE picky eater. I was the picky eater parents complain about for 30 years. It was bad, and I partially grew out of it (as many kids do) but not entirely. If you have one of those picky kids, you know that you’ll try anything to get them to eat their vegetables, including sneaking them into anything and everything. As it turns out, these easy spaghetti squash “tater tots” could be the perfect solution! 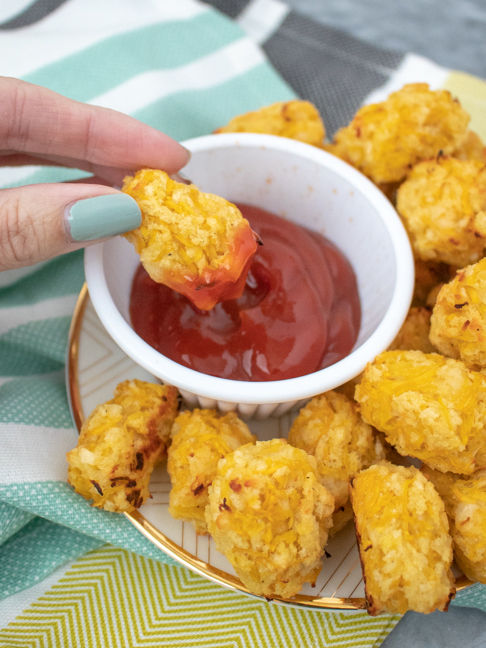 Dipped in your kid’s favorite sauce, they look and taste eerily similar to classic tater tots, but they’re full of nutrients. 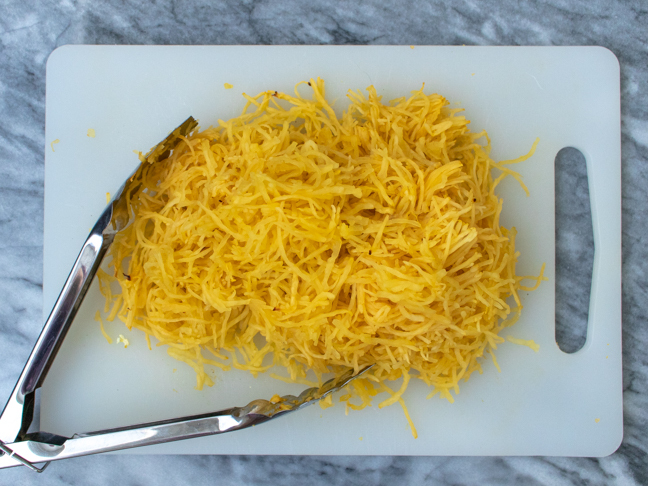 Spaghetti squash is a great alternative for pasta and potatoes, and it’s a low-calorie, fiber-rich vegetable (or fruit – that’s debatable). 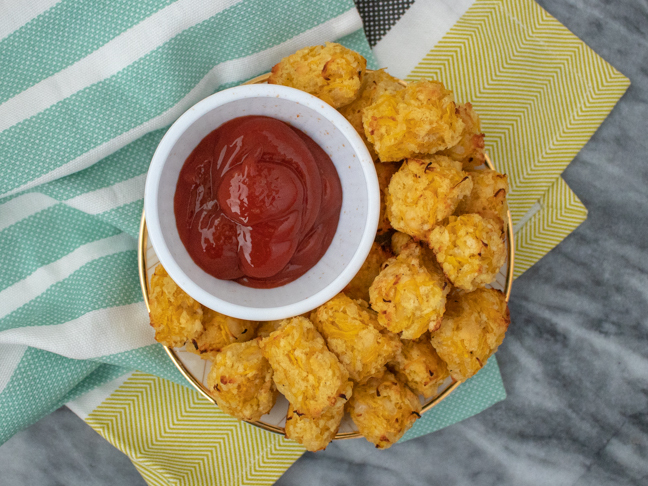 Plus, these spaghetti squash tots are freezer-friendly! Once cooked, you can refrigerate the tots in an airtight container for up to a week, or you can freeze them for up to three months. That means you can make a big batch all at once and have “tater tots” at the ready whenever you want! 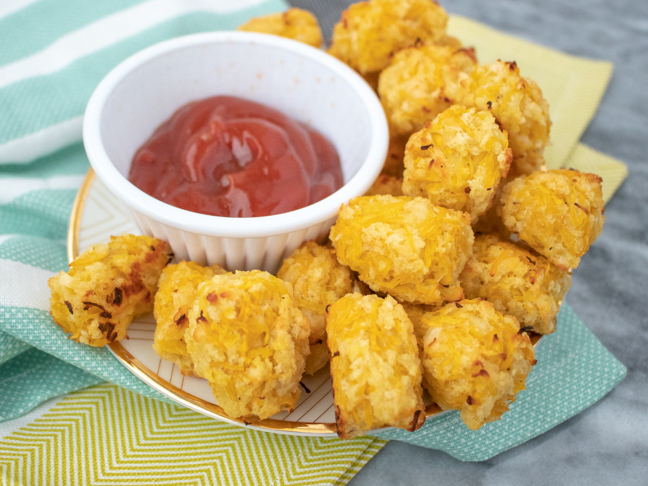 Here’s how to make tasty spaghetti squash tots that adults and kids will love! Step 1: Cut the spaghetti squash in half and cook. For easy cutting, poke holes in the squash, then microwave for 4-5 minutes to soften before cutting. Remove the seeds. Roast cut side-up on 375 degrees F for 30-40 minutes until tender. Step 2: Use a fork to scrape away the middle of the squash, forming "spaghetti." Cut into smaller pieces. Step 3: Preheat oven to 400 degrees F for the tots. Line a baking sheet with a silicone mat or parchment paper. 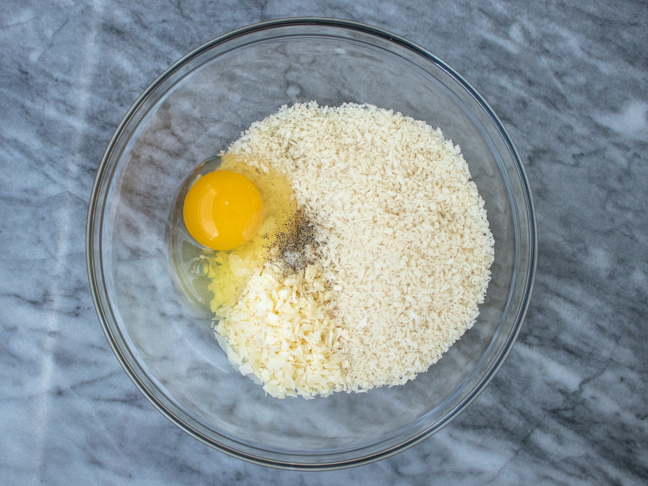 Step 4: In a large bowl, combine the eggs, breadcrumbs, parmesan and salt and pepper. Add the chopped squash and mix well. Step 5: Scoop about a tablespoon of the squash mixture and press with your hands to release excess moisture. 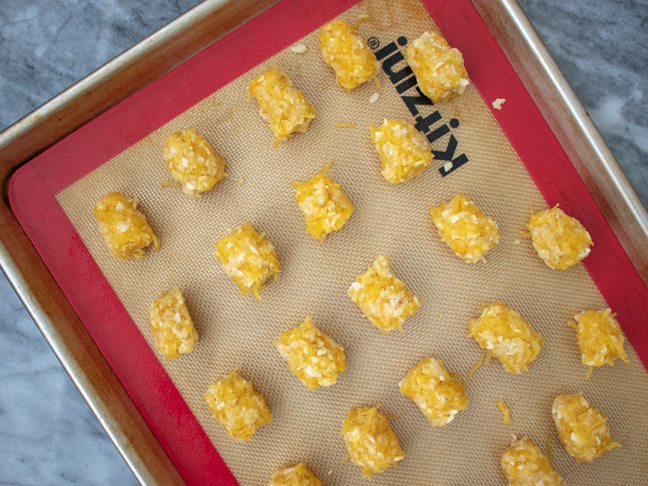 Shape into a cylindrical "tots" and place tots about 1/2 inch apart. Step 6: Bake for about 20 minutes until golden and lightly crispy. Serve hot and dip in your desired sauce. Refrigerate or freeze leftovers and reheat as needed.